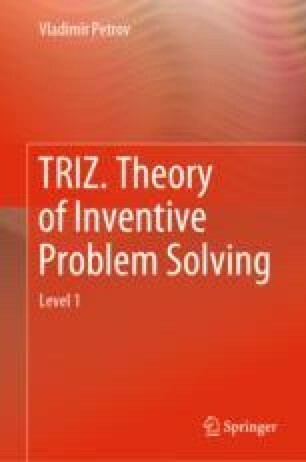 Theory of inventive problem solving (TRIZ) is a science, which allows not only to identify and to solve creative problems in each field of knowledge, but also to develop creative (inventive) thinking and develop the features of a creative personality. It can often seem that the problem is based on some “wild” idea. …TRIZ could be looked upon as a generalization of strong sides of creative experience of many generations of inventors: strong solutions are selected and analyzed, while weak and erroneous solutions are studied from critical viewpoint. Genrich Altshuller [G. Altshuller. Theory of Inventive Problem Solving. Review«TRIZ-88» (in Russian). URL: http://www.altshuller.ru/engineering16.asp].